Baseball's 'Most Durable Batboy' Marks 55 Years On The Field Stan Bronson is an icon of the University of Memphis baseball team. His is an honorary position without pay, so the university provides his food and medical care. At 84, he's remained healthy for his age, but there are concerns about the medical care he may require as he ages. 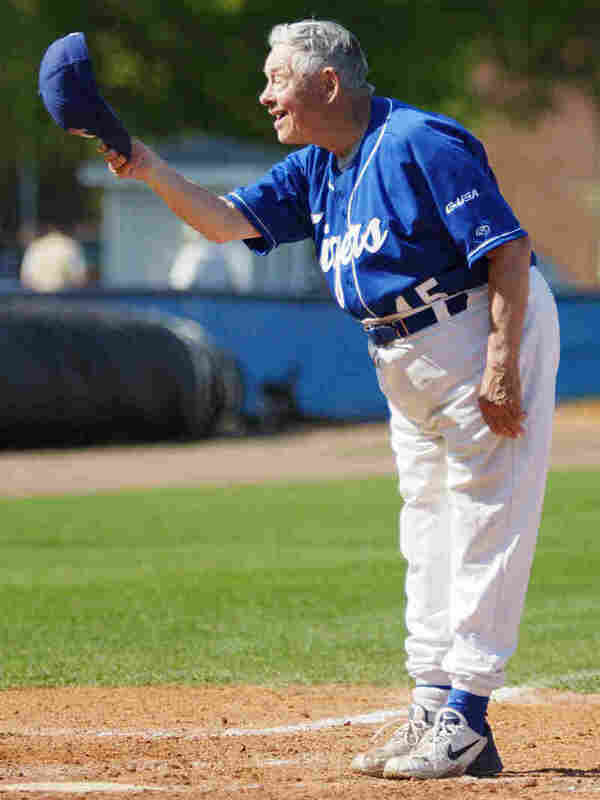 Stan Bronson, 84, has been an honorary batboy for the University of Memphis Tigers since 1958. The university provides his food and medical care. The University of Memphis baseball team plays its final home game of the season Tuesday. In addition to rooting for the players, Memphis fans will cheer for someone else: batboy Stan Bronson Jr. But "boy" is a relative term. 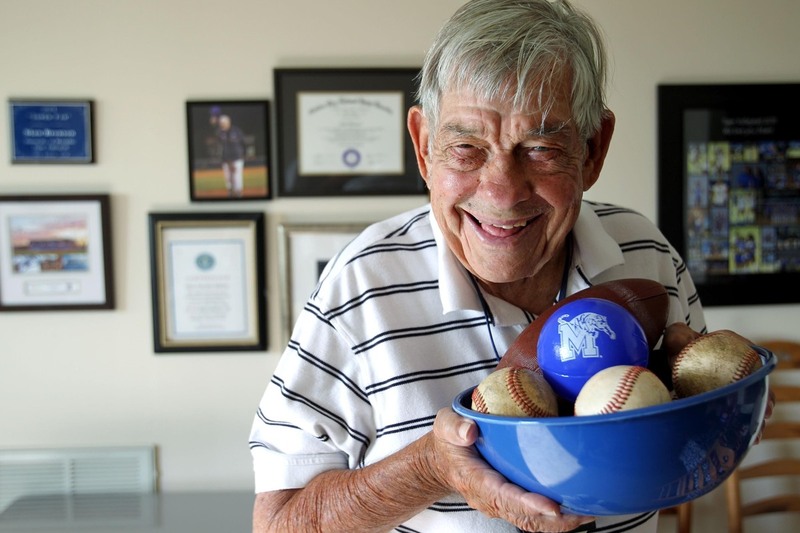 Bronson is 84, and this year he celebrates his 55th year in the honorary position with the University of Memphis Tigers. The game's announcer, Jeff Brightwell, calls him a "living legend," and he's been recognized by Guinness World Records as the "most durable batboy" in baseball history. At the end of the seventh inning of each home game, Bronson stands on home plate, tips his hat and takes a bow. Bronson, who has an intellectual disability and a speech impediment, says he was fired from the athletic department at Rhodes College before he came to the University of Memphis. "They didn't like my attitude," he says. Bronson's mother brought her son to the University of Memphis in 1958. As Bob Winn, the university's associate athletic director, recalls, the pair spoke with football coach Billy "Spook" Murphy. "Coach Murphy said, 'Well, son, I'm sorry but I don't have money in my budget to pay for anybody else.' And Stan said, 'Don't need money. Need a job,' " Winn says. Bronson has been a campus favorite since his arrival. These days, he doesn't chase after foul balls or grab bats as much as he used to. But he does have a special seat right on the field, next to the dugout. Game announcer Jeff Brightwell says even if the team is losing, fans stick around in the seventh inning. Bronson is renowned for ending the seventh inning of every home game with a hat tip and a bow. "You always want to see Stan come out and tip his cap," Brightwell says. "He is probably one of the most recognizable figures, which Stan's got to be on that Mount Rushmore of university athletics. Everyone knows and loves Stan." Just as everyone in Memphis seems to have an Elvis story, many have a Stan Bronson story. Fans give him rides; others take him to dinner. Even the team's coach chauffeurs him around town. "He's an icon of this institution," says Eddie Cantler, who was Memphis' athletic trainer for 35 years. "Stan is everything that is innocent and pure. And that's what he is. From the president on down, everybody knows that Stan is one of us." Bronson has outlived most of his family. When his mother died, she left a trust and house for her son. But with the rising cost of repairs, the university recently moved him into an independent living community overlooking the campus. The school also unofficially oversees his care. Bronson has a lifetime pass to the university cafeteria, and the athletic training staff tends to his basic medical needs. But there are growing concerns. Bronson has never collected a paycheck and is not eligible for Social Security, disability or Medicare. In 2012, Bronson's annual birthday party doubled as a fundraiser to offset future medical costs. "We're very fortunate that Stan hasn't had any major medical problems," says Beverly Dunn, who put together Bronson's application for most durable batboy for Guinness World Records. "Stan doesn't take any kind of medicine. In a way, he's kind of a medical miracle for his age." Bronson holds the record for batboy longevity, but he was never expected to live even a quarter of his current age. "We think, really, quite frankly, that athletics has kept Stan alive and going," says Winn. From the sidelines, Bronson can see his retired jersey in right field. But he's not done yet. He plans to be right back in this same spot next year.